OLDRIGHTIE: EUSSR Demand Statehood By 2025. 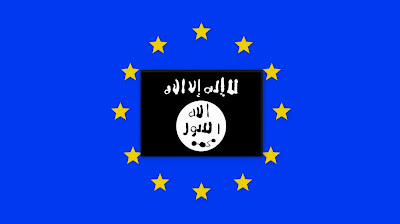 EUSSR Demand Statehood By 2025. Vote Remain Will Be A Death Knell. No coincidence this was agreed in Berlin. I am also of the opinion that Merkel's love-in with Erdogan and Turkish accession is purely to have her own Gestapo available, when necessary, to impose her will for a totalitarian state. Far fetched? Already being deployed! Well, such alliances were done previously. With horrific repercussions. Again I question the EUSSR and Merkel's motives to control Ukraine and seek to seduce that crazy, Hitler like despot, Erdogan. Given the lunacy, economic disaster and Merkel's history of affection for her beloved East German upbringing, there does seem some hint of a weird ballet dance going on. As for my flag above. Just a natural progression with Erdogan blackmailing Merkel via brute force and mass immigration. Vote leave has such powerful reasons for winning. Yet little seems to be being made of the material on offer. The "remain" traitors still promoting the "far right", "extreme right" labels for any mention of the terrible burden on all, that this unchecked, terrorist Trojan Horse of mass immigration, is. A policy foolishly giving migrants the belief that the streets of Europe and the UK are paved with gold. Sexual freedom totally available to the youths too ignorant and primitive not to respond to the "benefits" on offer. Probably to mask the economic poverty more likely to be their lot. Standby for ever more such awful atrocities, as millions of Erdogan's spearhead Muslims get free access. What in the name of humanity is going on? Nations who have fought and evolved, over centuries, into societies based on the better elements of human behaviour now being dragged backwards by an Establishment hell bent on a global dictatorship, with the likes of ISIS the Gestapo enforcers. If you want a "fear factor" to decide your vote then "remain" is the way to go. 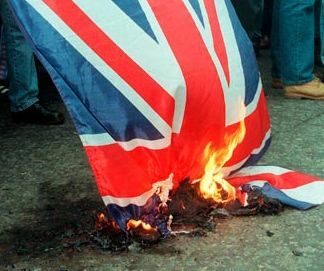 Afterall my generation may just see our lives out before the worst of this already nasty EUSSR becomes a stark reality. One well advanced years earlier. Unholy alliances with Mammon. Put those despots alongside Erdogan and you would do well to be very afraid. The nastiness kept very quiet as far as the West's media is bothered to tell us. There's simply no choice - we have to go.